A big part of the Rotary Club of Cañon City’s mission is to be of service to the community. The club is always looking for ways to do that, especially where it can be used by the most people possible. The club’s involvement in Centennial Park improvements started four years ago as a fundraising effort to support building the splash pad at Centennial Park. This project was chosen because of the Rotary Club of Canon City’s dedication to the community and the idea that we need a safe alternative for youth to cool off during the summer away from the river. As the park “Master Plan” developed, the City was able to secure funding for the complete build out of the splash pad. The Canon City Rotary Club saw this as an opportunity to leverage its contribution to enhance the Centennial Park project beyond just the splash pad. The Rotary Club could allocate its contribution to an additional feature that would otherwise not have been built. It was apparent that the new Rotary Pavilion would add the greatest value to the park and serve our community year round. Jason Messer, CC Rotary Club member and committee chair of the annual Rotary Rubber Ducky Derby committee has been involved with the project since the beginning. According to Messer, “The reason I was involved with this is because I am a Rotarian and we have duty to serve our community. I think the Rotary Duck Derby just allows us the resources to make meaningful change in our community.” He believes that having the Rotary name on the pavilion stems from CC Rotary being a part of the process from the beginning, its ongoing commitment to Canon City, and the club’s financial contribution of $29,391.37 to the project. 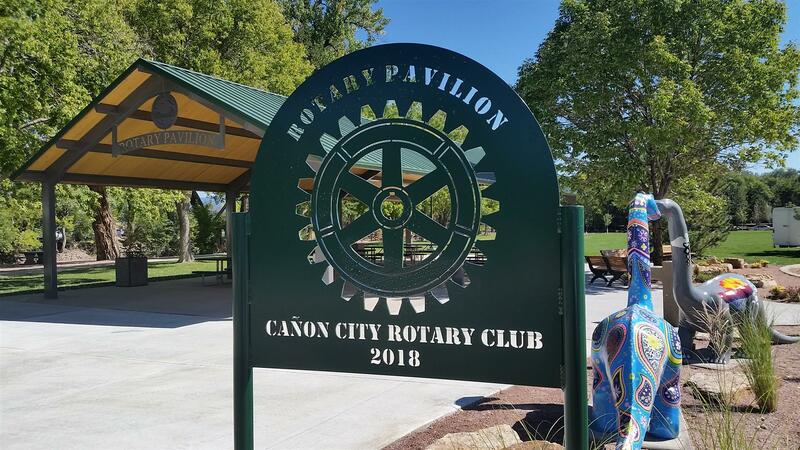 The Rotary Pavilion will be an excellent place for family and friends to gather to enjoy each other’s company and the beauty of one of Cañon City’s great parks.